Tim and "Mini" Michelle started running private boat charters on Ruthless in 2012. They both had already lived on Roatan some years and knew that this was home for them. 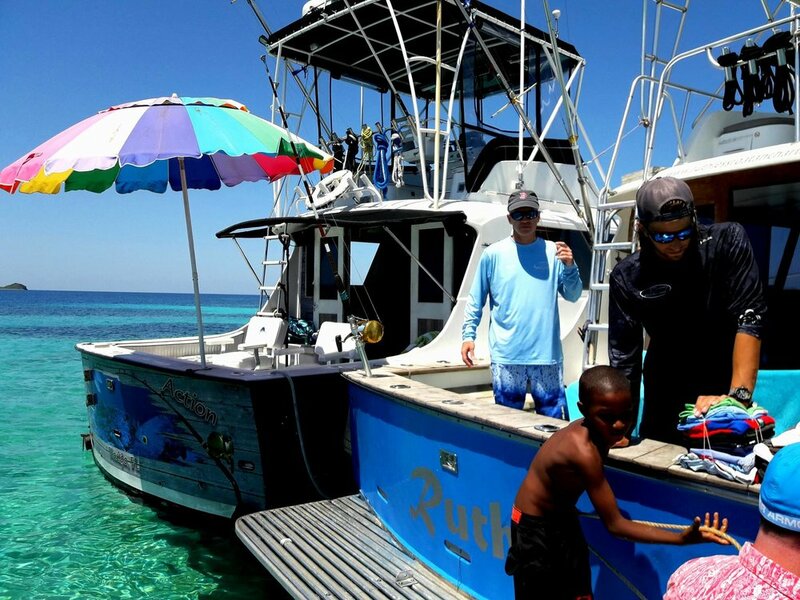 Selecting the right boat vessel was essential, check out the tale behind Ruthless. 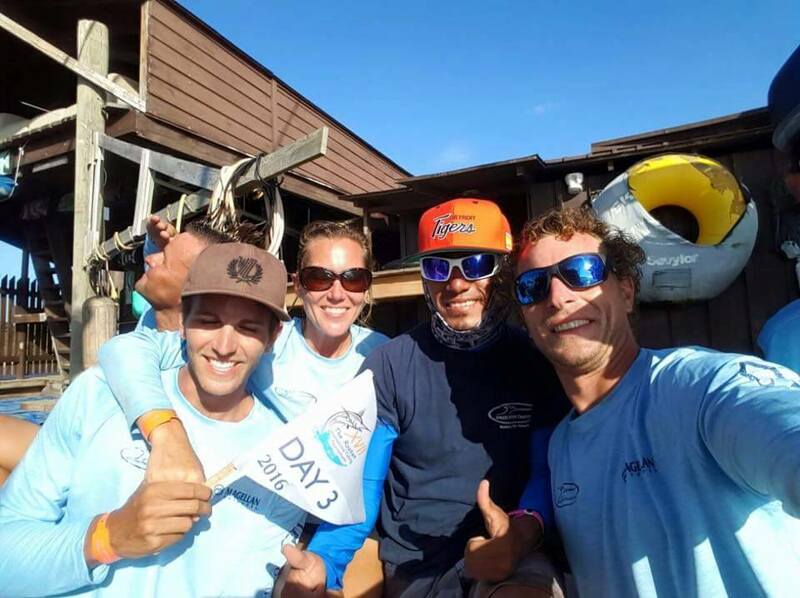 With their backgrounds in sailing, boat maintenance, and navigating the waters of Roatan they had the experience and knowledge to start offering trips that guests would never forget. Tim hails from Oregon in the northwest U.S. while Michelle is from the Netherlands. Roatan has been home for these two since early 2000's and they wouldn't have it any other way. They love hitting the water on the hunt for fresh fish, taking guests to explore the coast of Roatan, Cayos Cochinos and beyond. When your office is a boat and the view is the ocean, it's not a bad way to spend your days! Every good boat operation has a quality crew behind it and we are no different. From experienced Captains who know the reef to deck hands that keep your journey smooth and safe. Not just that, but they are there to lend a hand as you help reel in any fresh catches that come our way. Our crew's top notch customer skills help ensure that your trip with us is enjoyable and delightful. 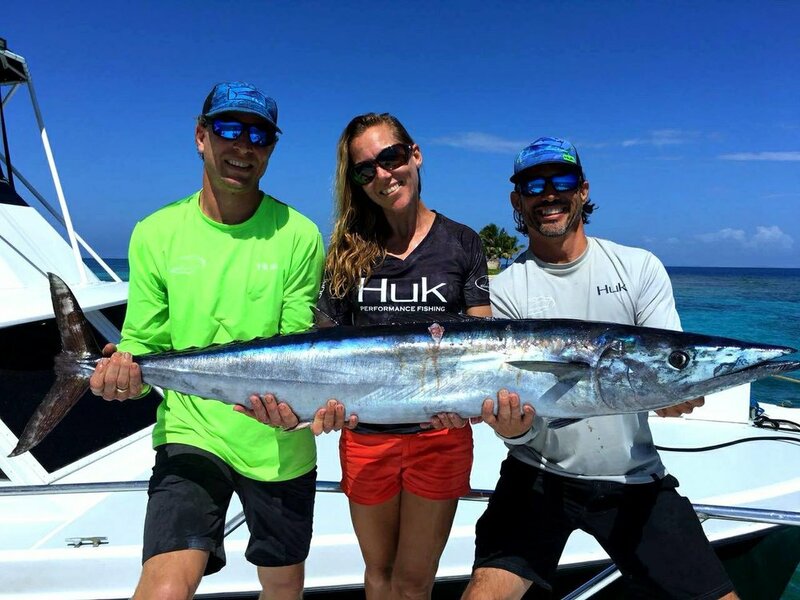 The crew of Ruthless Roatan Charters are proud ambassadors of Huk Performance Fishing. With the amount of time we spend out on the water and in the sun their apparel with UV protection is a must. Not mention keeping potentially dangerous sunscreen out of the ocean and off our reefs means a lot to us! For reef friendly sunscreen that works, we highly recommend Aegis SOL-Screen available for sale on the boat.